The rest of the world has one. Why don’t we? My mother has a lot of ‘isms and anecdotes that I quote because they’re hilarious, provide for good conversation, and mostly because they’re true. One of her most often used tropes is about home training. verb. A way of acting, in both public and private, that indicates that the adults in your life have taught you about what is and is not appropriate in a respective environment. Of course we never wanted to embarrass ourselves, but we for sure never, ever, ever wanted to embarrass my mother or our family. the time is apparently ripe for a display of a lack of home training. It’s with this in mind that I believe a dialogue needs to happen in the genealogy and family history space. We, as a collective group, also need to get our lives together when it comes to the subject of home training. Recently, an attendee at the Salt Lake Institute of Genealogy (SLIG) used a racial slur referring to immigrants during one of the sessions being held. The term was one that use to be directed toward Ellis Island arrivals but in the last 40 or so years has been directed specifically at the Latinx community. The slur was used in a joking manner. Based on accounts, only one person even bothered to say anything to the attendee when the class had 40 people and an instructor there. One person. Let those two words sink in. Only ONE PERSON bothered to say anything. At least in the examples I gave above more than one voice came out and said they couldn’t support the behavior, yet here, the silence was defeaning. In the days that have followed the incident, my geneabud Linda Okazaki blogged about what had taken place since she was in attendance at SLIG but not in the session where the incident took place. Others have heard about the incident and have taken to social media to discuss it, which is puzzling considering that only ONE person in the session bothered to say anything. Not a single word from SLIG either. I can say with certainty that I believe had Linda not written her piece, this entire thing would have flown way under the radar. Why we don’t have the same thing for genealogy and family history, in particular, for conduct at conferences and/or events? The Board of Certification of Genealogists has a Code of Ethics, but not even within that code of ethics is even a period, semi-colon, dash, ellipis, etc. referring to even certified genealogists agreeing to non-discrimination in their personal or professional work. 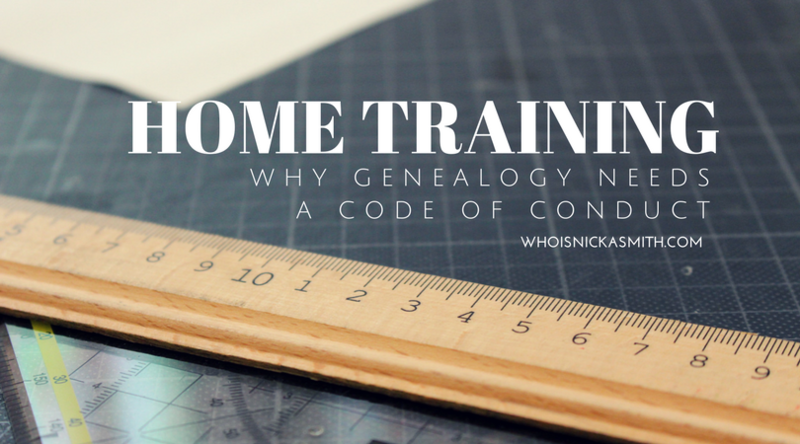 Even still, only certified genealogists are subject to that code. So, what about the other folks? Head to most family history related conference/event website and I can guarantee you MOST of them don’t have a code of conduct that could potentially have prevented the incident that happened at SLIG. In fact, I can tell you more about where I can eat during a conference than about whether or not an organization will tolerate a fellow conference attendee calling me the N-word. This is an issue for EVERYONE. A code of conduct could easily be implemented in the registration process for membership or for event/conference attendance. Yes, it would be a rubber stamp considering that we’re all held to federal and state laws that prohibit discrimination, but it would also send the message to people of color and marginalized communities that they are welcome and protected. Silence is complicity and in this case, there’s more than a conference room of 40 attendees with their mouths shut. (1) General Non-Discrimination Policy Tips. N.p., n.d. Web. 30 Jan. 2018. <https://www.eeoc.gov/employers/smallbusiness/checklists/general_non-discrimination_policy.cfm>. 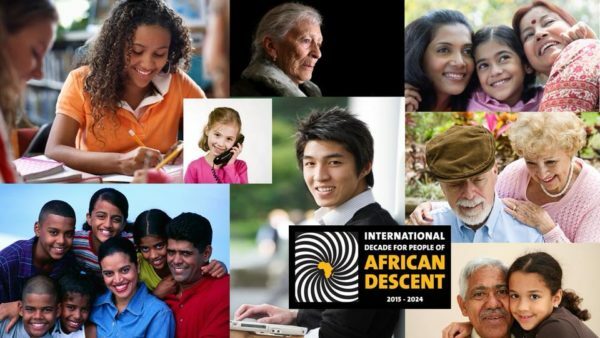 * Editor’s note: The first version of this post neglected to mention the efforts of Dear MYRTLE (Pat Richley-Erickson) to commemorate the United Nations’ International Decade for People of African Descent 2015-2024. The graphic below is what she uses to communicate this statement along with the following text that is shared before her hangouts: “DearMYRTLE and Cousin Russ recognize the United Nations’ International Decade for People of African Descent 2015-2024. We reach out to all regardless of race, color, creed or national origin with support for researching family and documenting cultural inheritance.” The image and text have been shared with her permission. Additionally, RootsTech also contacted me about their newly instituted newly instituted Code of Conduct for the 2018 conference. It is now required that each attendee agree to the terms before their registration is processed. This Code of Conduct was not previously publicly available but has been provided to me by FamilySearch to be shared with this post. I am proud to say the the Genealogical Forum of Oregon has a non-discrimination statement/policy. Every human being is welcome in our library and we support their efforts to learn about their heritage in any way we can.